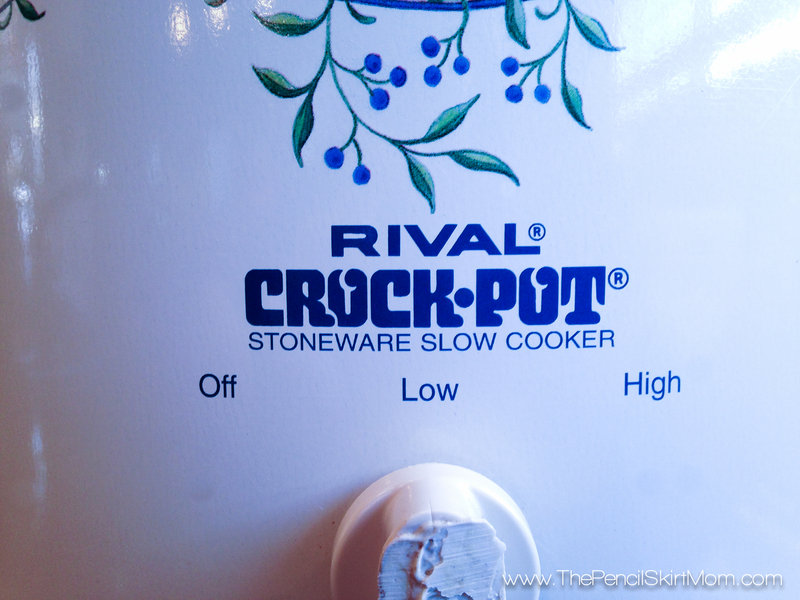 Someone requested crockpot recipes, and I decided to share this easy peasy one with you! I like to make one or two crockpot recipes per week as it streamlines our crazy evenings so much! I especially love when a recipe ends up being the base of another. 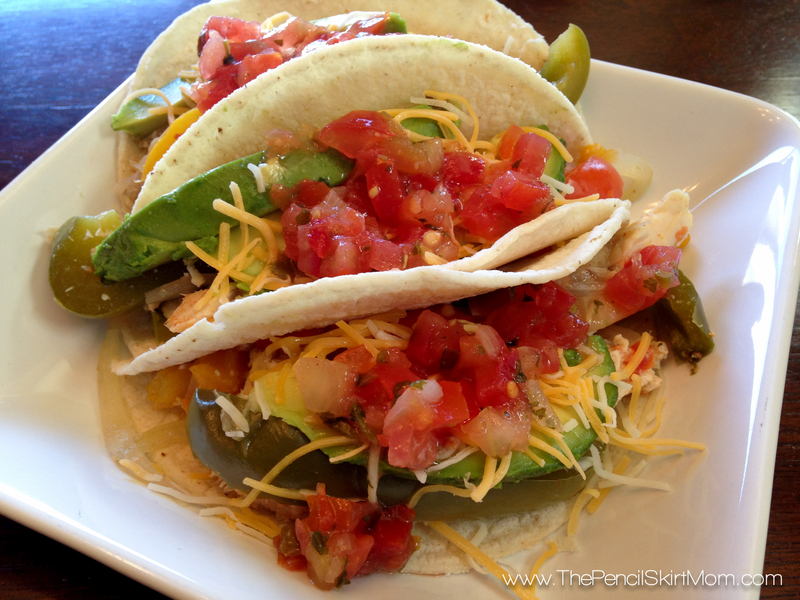 For instance, this recipe for Crockpot Fajitas ends up being the base for either a Southwest White Chili or Chicken Tortilla Soup …Find the details for that at the end of this post! 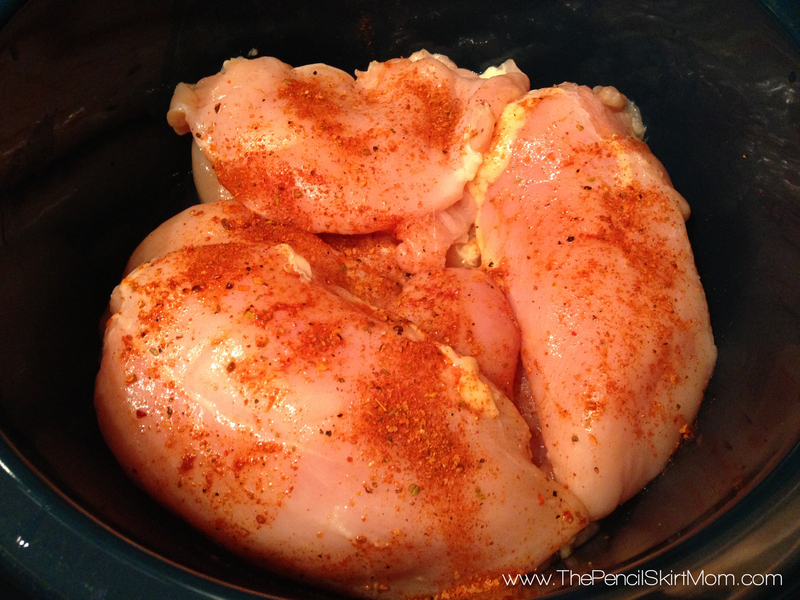 Step 1: Rinse and drain several chicken breasts and place in crockpot. Sprinkle each piece well with fajita (or taco) seasoning and a dash of salt. 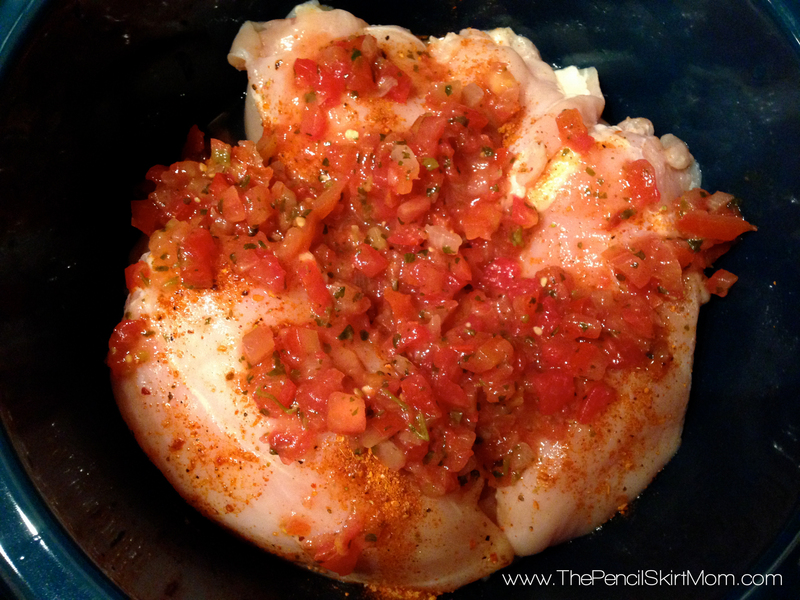 Step 2: Add 1-2 cups of fresh salsa or pico de gallo. 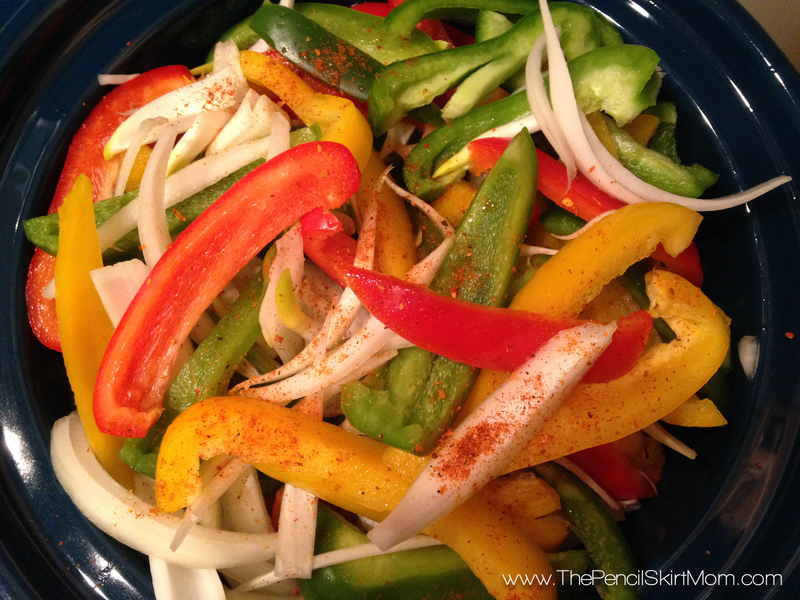 Step 3: Fill the remaining space with sliced bell peppers and onions and sprinkle with more fajita (or taco) seasoning and a dash of salt. Step 4: Put the lid on that Babay! Step 5: Turn crockpot on low heat. Don’t forget to plug it in…..I’ve forgotten, and uncooked, lukewarm dinner is such a bummer! Step 6: Lightly and quickly fry corn or flour tortillas in olive oil on a griddle. Fill tortillas with your Crockpot Fajita filling, fresh sliced avocados, fresh salsa, shredded cheese and sour cream (or plain Greek yogurt) if you like. And, wa-la! Dinner is served! For Southwest White Chilli, add 2 cans of Great Northern or Pinto Beans, chicken broth, chopped celery, chopped carrots, cumin seasoning, fresh or dried cilantro and additional salt to taste. Pop that bad boy in the refrigerator and you have another dinner ready for the crockpot the next morning. Cook on low all day and serve with shredded cheese, sour cream (or Greek yogurt), diced avocado, diced tomatoes, etc. My kids totally dig this! For Chicken Tortilla Soup, add 2 cans of black beans, chicken broth, either canned or frozen whole kernel corn, more fajita or taco seasoning to taste and additional salt to taste. Again, pop that bad boy in the refrigerator and you have another dinner ready for the crockpot the next morning. Cook on low all day and serve with tortilla chips, shredded cheese, sour cream (or Greek yogurt), diced avocado, diced tomatoes, etc. Pretty much by the end of the week, we are sick of chicken-ey, fajita-ey, taco-ey style of food. But, hey, time is of the essence and a precious commodity, right??!! And, you don’t have to have these two meals back-to-back. 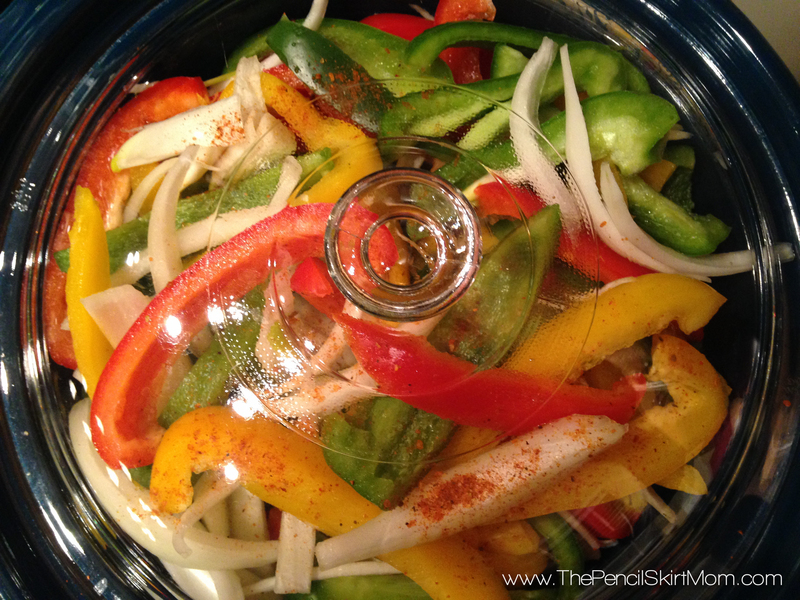 Serve something different the night after the Crockpot Fajitas and then serve the soup later in the week. If you like this and try it, leave me a comment and share with your friends.